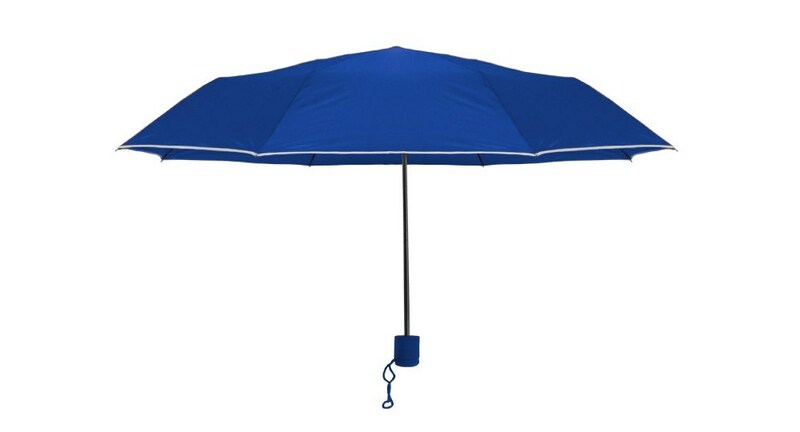 This Budget Mini Folding 42" Umbrella opens automatically, has a plastic handle and folds to a convenient 9". Dimensions: Open: 42", Closed: 9"
Feel protected and dry, even when caught in a massive downpour, when you are using the Budget Mini Folding 42" Umbrella. 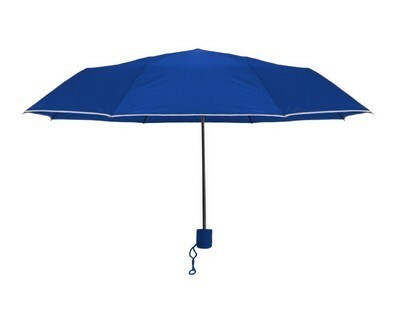 Grab tons of attention and promote your brand by imprinting your company’s logo on the umbrella. It has a plastic handle and opens automatically to a 42" arc and folds to 9". It is available in black, navy, and royal blue to suit your advertising needs. Give it away to your esteemed customers to thank them for their loyalty and watch them recommend your brand to their friends and in their business circles.